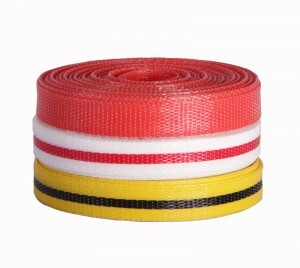 We weave barricade tape from polypropylene monofilaments in two different sizes and several different colors. We can also customize to your needs. Our barricade tape is non-adhesive, lightweight and reusable. The 3/4″ wide tape has a tensile strength of 100lbs. and the 2″ wide tape has a tensile strength of 300lbs. 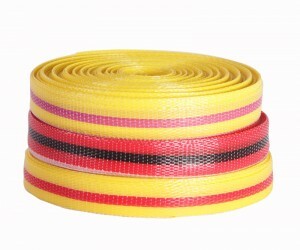 Standard colors for all 2″ are Yellow/Black/Yellow, Red/Black/Red and Red-orange. 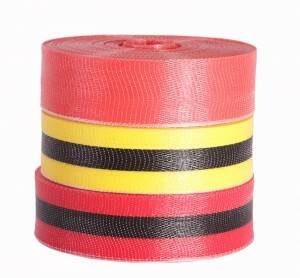 The 2″ barricade tape is available in 150′ or 200′ rolls. Contact our sales staff for pricing information and custom orders. Case quantities only.